A learning circle for new fundraisers. The AFP Chicago Fellows Program is an outreach initiative of AFP Chicago created for individuals working with or for nonprofit organizations in metropolitan Chicago, with an emphatic interest in diversity, equity, inclusion and access, people of color and/or Lesbian/Gay/Bisexual/Transgender (LGBT). Identify themselves as an ethnic minority, GLBQ, disabled and/or work for an organization that represents that community. Be responsible for fundraising in a metropolitan Chicago area 501 (c)(3) organization. Have the full support of their supervisor and their organization’s leadership to participate in this educational program. Be committed to attending the programs and events comprising the Fellows’ curriculum. Either not currently be a member of AFP or currently be a member for not more than two years. Continue paid membership in AFP for at least one year after the conclusion of the Fellows Program. Applicants complete an application form and include their current job descriptions and resumes. Applications will become available in the fall of 2019 for the 2020 Fellows class. 2019 Class pictured with Fellows Co-Chairs Anedra Kerr and Alexander Pope, CFRE. 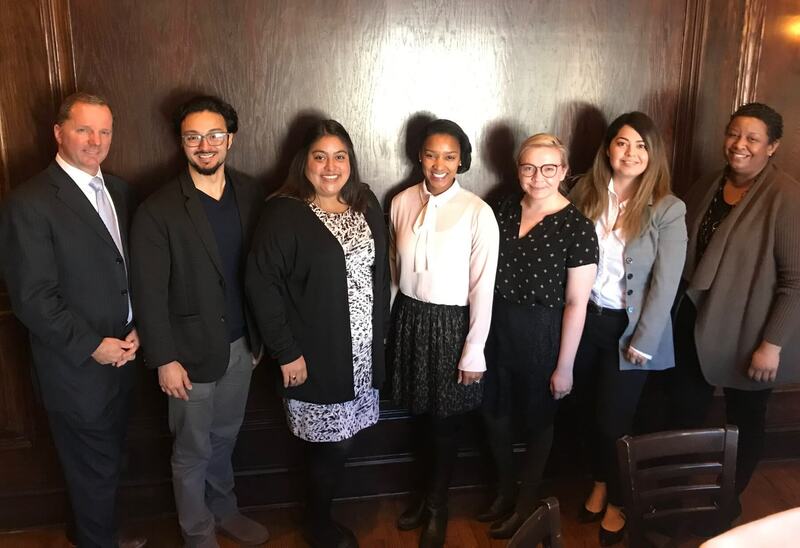 Welcome 2019 Class of AFP Chicago Fellows! Ashley Leonard, Spark Program Inc.
of the AFP Chicago Fellows Program!